Lazy gardeners, have I got a plan for you! I never dreamed this would work. 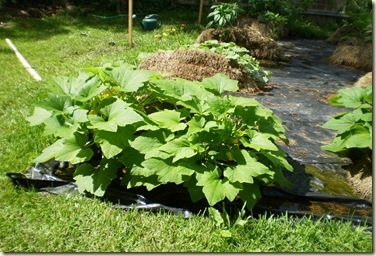 How do you garden without blood, sweat and tears, not to mention dirt and weeds? You plant in bales of hay. 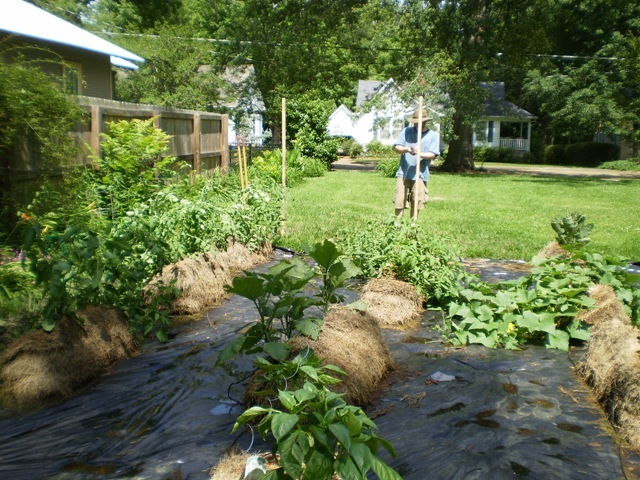 My son, Braddock, knew what he was doing when he planted our garden in bales of hay. No weeds, no dirt, no watering. He installed a drip watering system that has freed us from visiting the garden but maybe once a week. 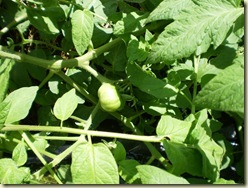 We are picking squash and cucumbers and the tomatoes are coming along – maybe another month. We also have eggplants – both Japanese and regular; four kinds of peppers, both hot and sissy; canteloupe, honey dew melons and zucchini. B’s house is in the woods and I get about 15 minutes of sun in my yard, so we borrowed space at my neighbors house. He did all the work, my neighbor provides the water, and I plan to do the eating. It just doesn’t get better than that. Do you not have squirrels there? My brother-in-law’s tomatoes are getting eaten by them here. These critters (rats with fluffy tails) are in over-abundance since they have no real preditors in the city here, and honestly they could get into one of those high security prisons, if they wanted to — no problem! 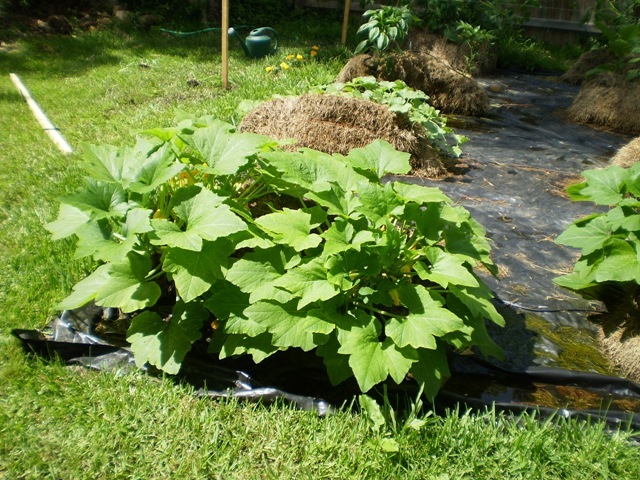 Has anyone found anything legal to keep the squirrels away from your vegetables? And, you can forget about ever having any pecans. There’s a big tree right at our backdoor here, but a human can never get the produce from that either. I’m always fascinated at how so many people have gardens that survive all these creatures!